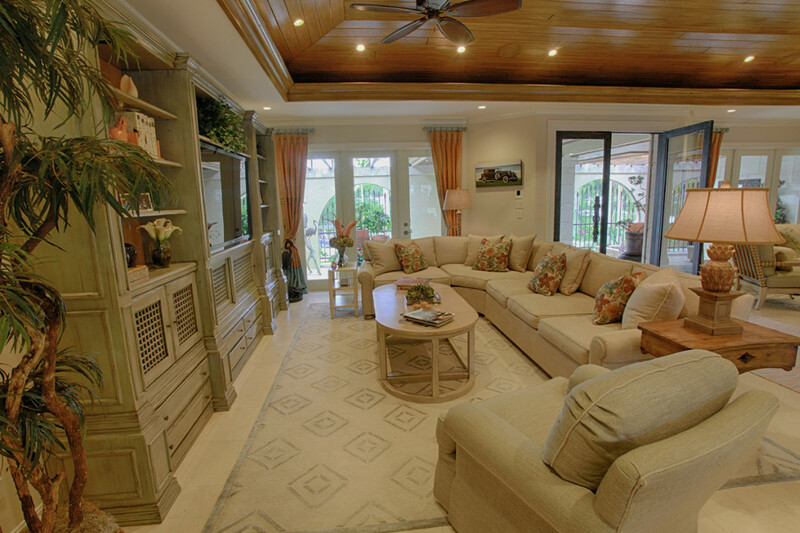 The overall theme for this residence is classic with soft colors enlivened by coral accents, seaside living accessories and paintings of Florida landscapes. The rooms remained the sizes they were but were completely redone from floor to ceiling. 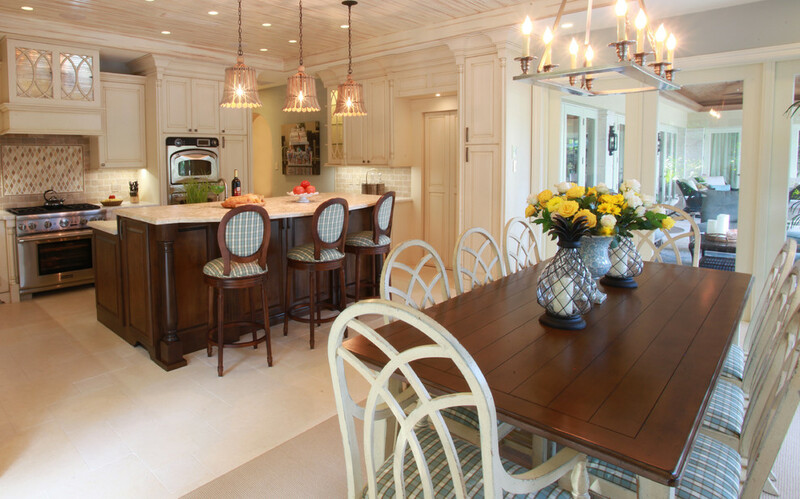 Comfort and high-quality renovations and furnishings were at the top of the list for this family. Everything was chosen with great care and consideration. 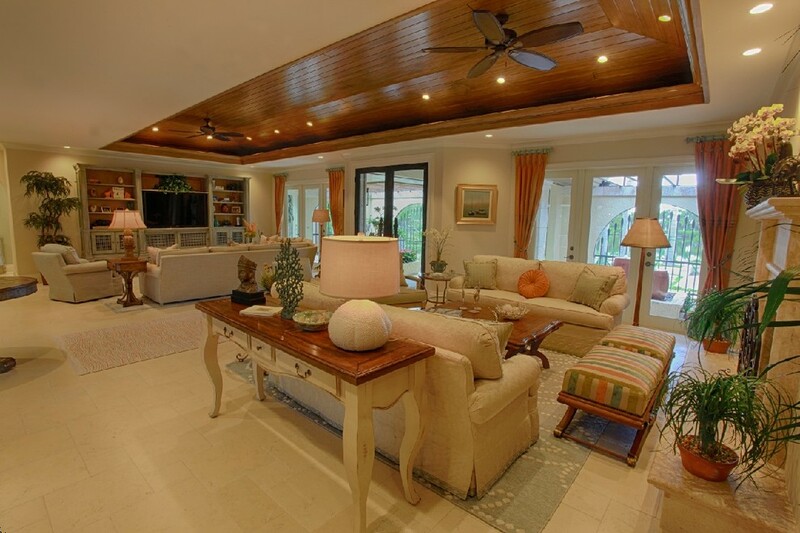 New stone floors were installed throughout the one-story home. 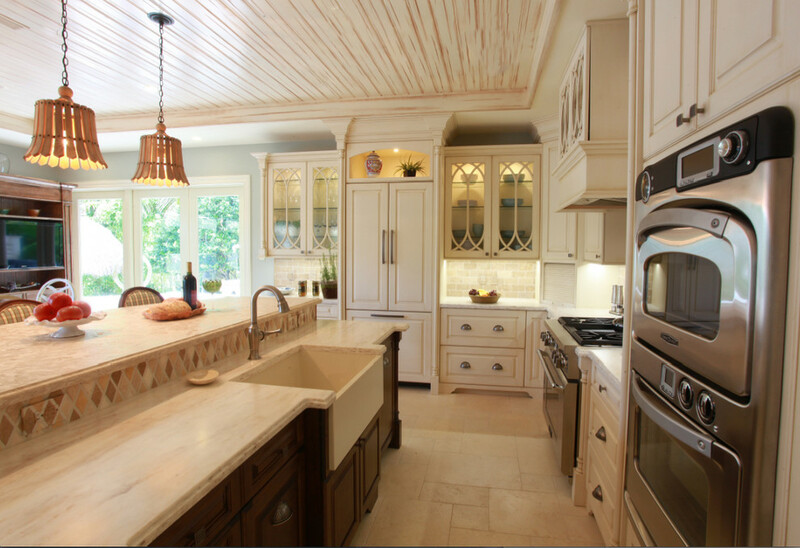 The ceilings were stained and faux painted to suit the décor of each room and all the cabinetry was custom-built throughout with specialty stains and faux finishes. Custom rug patterns were designed and colors selected to complement and key off of each other in fine linen and cotton with sophisticated weaves. Other changes included a new state-of-the-art kitchen with large breakfast table and counter stools; hurricane proof windows; all new interior doors, trim and hardware; and luxurious bathrooms. The approach to the home and the landscaping were totally redone. The property is unique in that it opens on to a lagoon on one side and to a waterway on the other creating a peaceful oasis with lovely cross breezes. 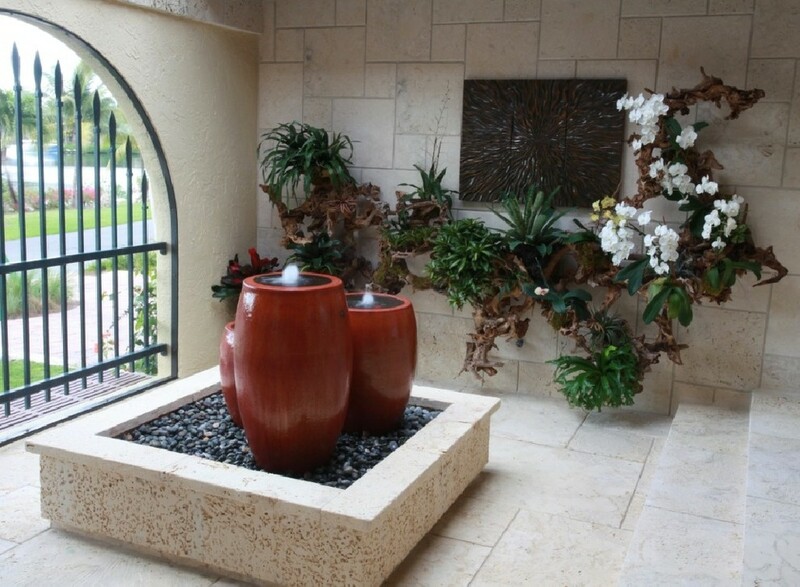 One now enters the home through an elegant screened courtyard graced by fountains and potted plants. 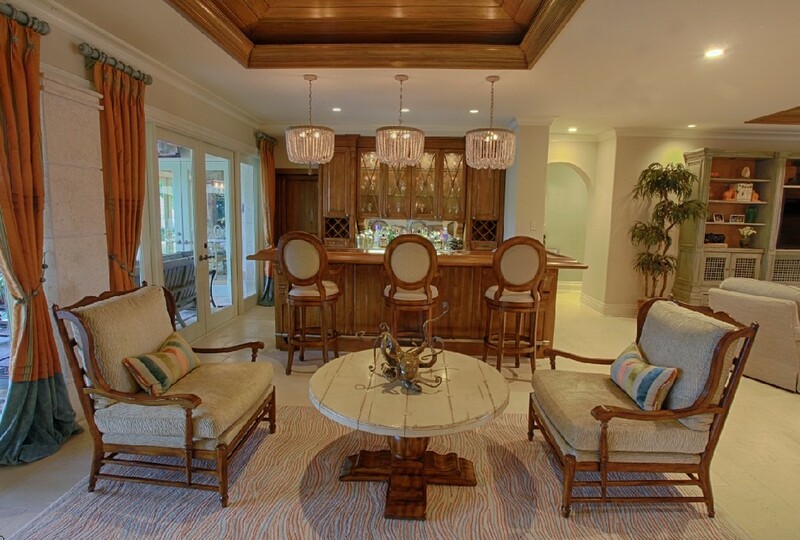 The large bronze glass doors lead into an open plan great-room that includes a relaxing family room seating and TV area; a bar area with a game table; a dining area and a more formal sitting area with a fireplace. 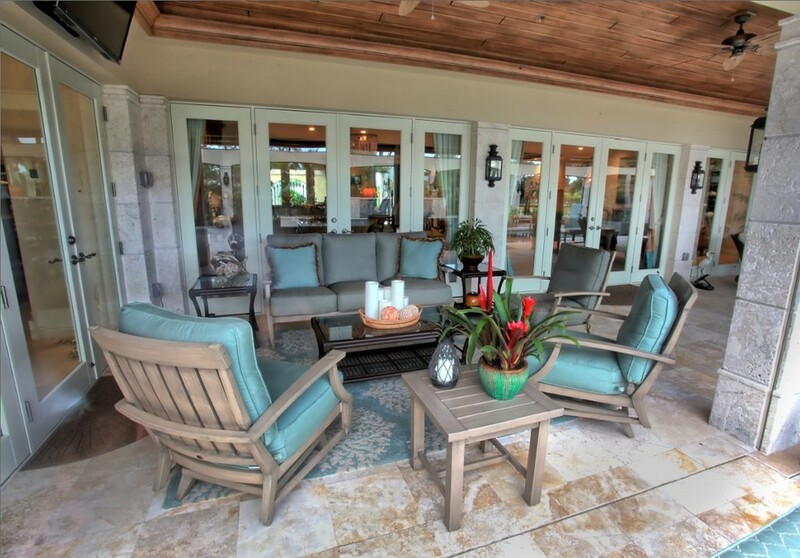 The multiple French doors of the great room open to the pool and patio, which feature plush all-weather furniture and soft outdoor rugs.